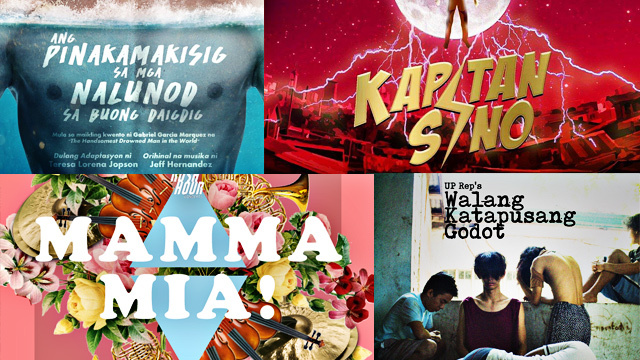 (SPOT.ph) In April, thespians treated us to meditative pieces relevant to the times such as Putri Anak: Isang Bagong Komedya and Angry Christ (which you can still catch until May 14). 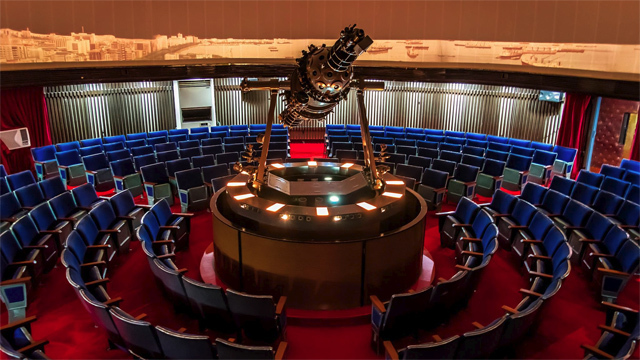 The month of May, on the other hand, signals rebirth with plays about heroism, bravery, and even superpowers. Book your tickets now and find out what it means to be a hero. 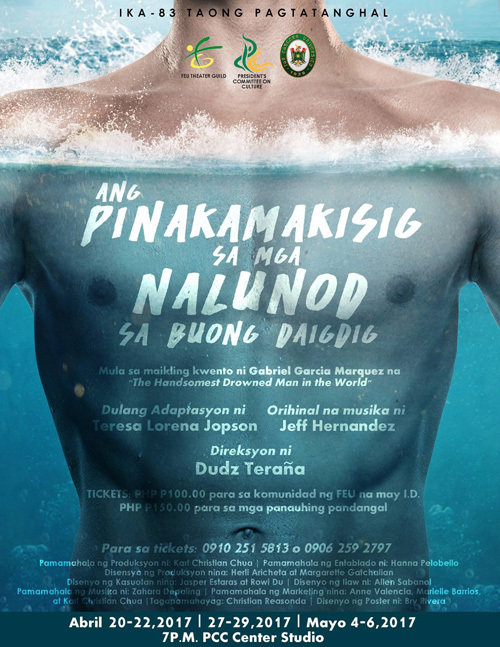 The musical Ang PinakaMakisig sa mga Nalunod sa Buong Daigdig explores the simple life on Isla Esteban and how one man changes the life of the whole community. It is written by Risa Jopson and directed by Dudz Teraña. Ang Pinakamakisig sa mga Nalunod sa Buong Daigdig runs until May 6 at PCC Center Studio, G/F Technology Building, Far Eastern Unviersity, Nicanor Reyes Street, Sampaloc, Manila. Tickets, priced at P150, are available through the FEU Theater Guild Facebook page. For the first time, Teatro Kolehiyo ng Miriam has created a musical production through Sinagtala. It is a tale of good versus evil with themes on familial love, environmental conservation, and oppression. Sinagtala is penned by Soc Delos Reyes and set to music by Krina Cayabyab. 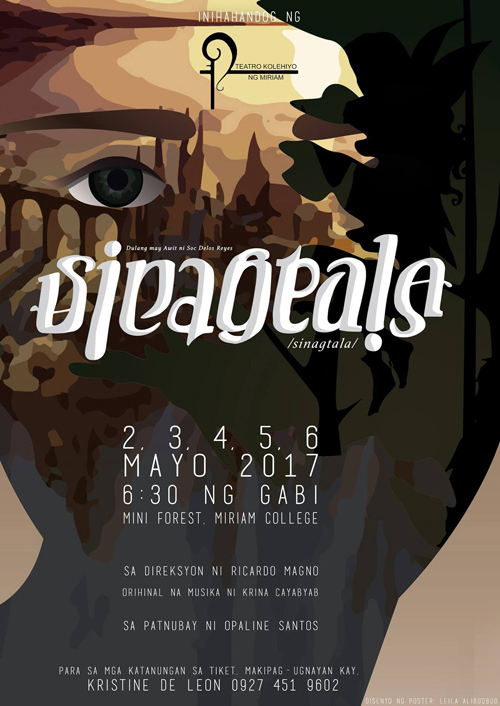 Sinagtala runs until May 6 at Miriam College, Katipunan Avenue, Loyola Heights, Quezon City. Tickets, priced at P300, are available through Eventbrite. Kapitan Sino, based on Bob Ong's novel of the same title, follows the story of a young electrician named Rogelio Manglicmot. He later finds out that he has superpowers (something to do with electricity, obviously) and uses this to fight evil. It is adapted for the stage by Cyrene Mendoza under the direction of Franny Ocampo. 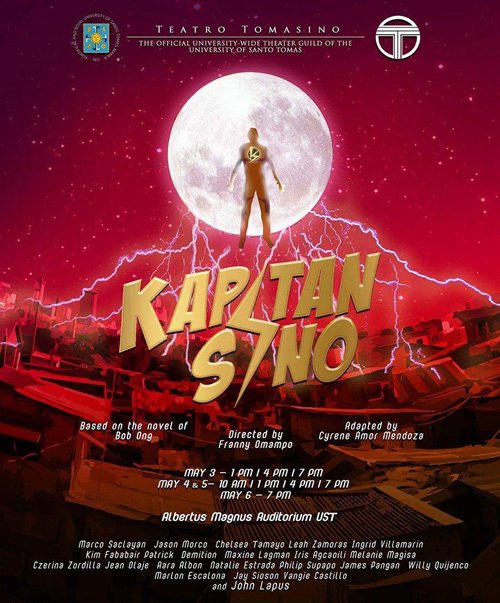 Kapitan Sino runs from May 3 to May 6 at the Albertus Magnus Auditorium, University of Santo Tomas, España Boulevard, Sampaloc, Manila. Tickets, priced at P200, are available through Eventzilla. Indulge in this shadow-puppet comedy that features flying chickens, brain transplants, sneaky ninjas, and everything funny, wild, and imaginary. Everyone, young and old, is welcome. "The laughs began within second of the show starting and didn't stop until the end of this crazy puppet show," said The Independent Weekly in its rave review when the production was shown in Australia in 2010. 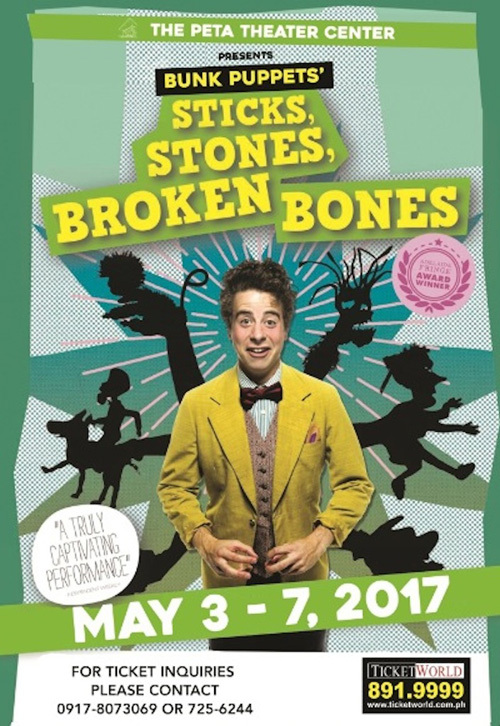 Sticks, Stones, Broken Bones runs from May 3 to 7 at PETA Theater Center, 5 Eymard Drive, New Manila, Quezon City. Tickets, priced at P800, are available through Ticketworld. 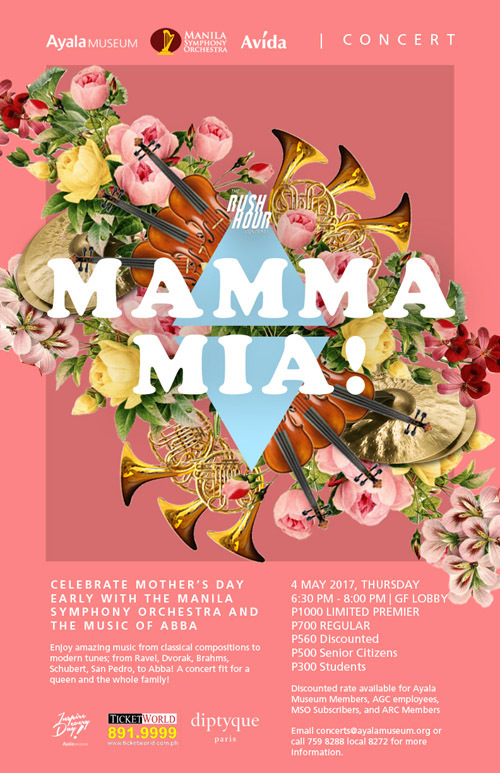 Treat mom to an early Mother's Day celebration with the Manila Symphony Orchestra at the Ayala Museum. This month's Rush Hour Concert features classical tunes from Johannes Brahms and Maurice Ravel, as well as modern tunes by Abba. Yes, the crowd-favorite “Mamma Mia” is in the repertoire. Rush Hour Concerts: Mamma Mia is on May 4, 6:30 p.m. at Ayala Museum, Makati Avenue corner Dela Rosa Street, Greenbelt Park, Makati City. Tickets, priced at P850, are available through Ticketworld. Walang Katapusang Godot, directed by Manuel Mesina III, is UP Repertory Company's own take on the Samuel Becket classic Waiting for Godot and Rolando Tinio's adaptation Ang Paghihintay kay Godo. It employs devised theater, where 15 characters in the production deliver a script based on their collaboration and improvisation. It also explores the conditions of mental health in the Philippines. 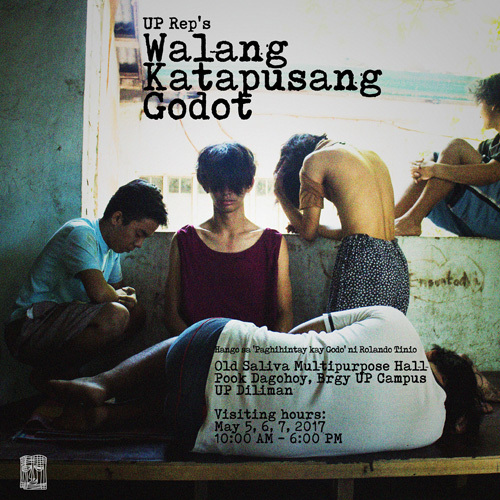 Walang Katapusang Godot runs from May 5 to 7 at Old Saliva Multipurpose Hall, Pook Dagohoy, Barangay UP Campus, University of the Philippines - Diliman, Quezon City. Tickets, priced at P200, are available through the UP Repertory Company's Facebook page. 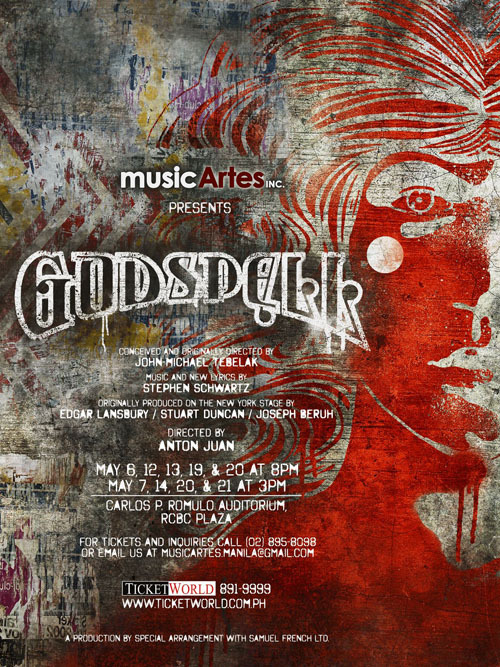 If you weren't able to catch the Manila run of Stephen Schwartz's Godspell in 2016, then this is your chance to see the feel-good production. Based on the gospel according to St. Matthew, this rock opera gives a refreshing take on the last days of Jesus Christ. It also includes dramatized versions of well-known parables such as The Prodigal Son and The Good Samaritan. Director Anton Juan, musical director Ejay Yatco, and choreographer Dexter Santos put together this production. Godspell runs from May 6 to 21 at Carlos P. Romulo Auditorium, 4/F RCBC Plaza, Ayala Avenue corner Gil Puyat Avenue, Makati City. Tickets, priced from P1,000 to P2,500, are available through Ticketworld. 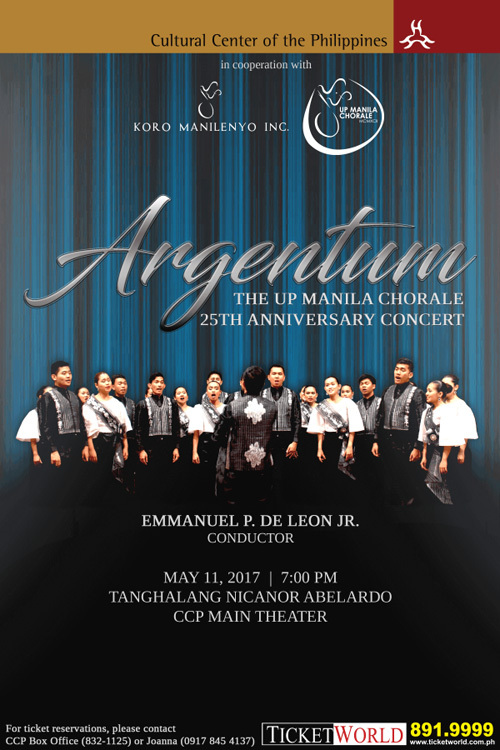 The UP Manila Chorale has been enchanting the hearts of audiences through their classical choral pieces and pop songs for 25 years. To celebrate their anniversary, they're capping off the season with a bang with Argentum. Featured in the repertoire are the world premieres of “Gloria” by Nilo Alcala and “Avinu (Our Father)” by Eudenice Palaruan, both Filipino composers. The UP Manila Chorale was a recipient of the National Commission for Culture and the Arts' Ani ng Dangal Award for Music in 2016. Argentum is on May 11, 7 p.m. at CCP Main Theater (Tanghalang Nicanor Abelardo), Cultural Center of the Philippines, Roxas Boulevard, Pasay City. Tickets, priced from P300 to P800, are available through Ticketworld. 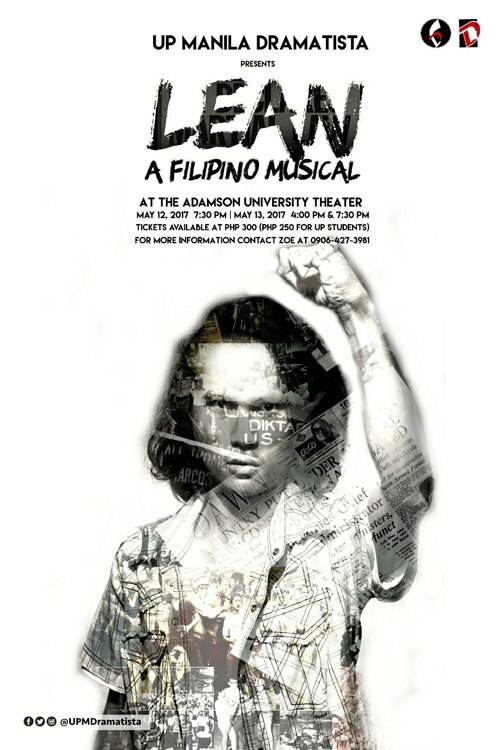 Lean: A Filipino Musical runs from May 12 to 13 at Adamson University Theater, 900 San Marcelino Street, Ermita, Manila. Tickets, priced at P300, are available through Zoe Caballero (0906-427-3981). Egg Theater Company does its own take on George de Jesus's Palanca-winning screenplay Kung Paano Maghiwalay. 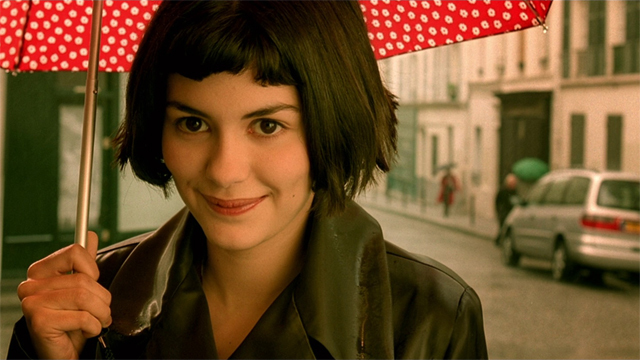 It follows middle-aged couple Ben and Anita after they go through a critical moment in their marriage. It chronicles the ups and downs of relationships, presents a new perspective on love, and submits to the fact that pain is inevitable. Kung Paano Maghiwalay runs from May 19 to June 4 at Pineapple Lab, 6071 R. Palma Street, Poblacion, Makati City. Tickets, priced at P600, are available through Mara (0917-804-0762) or Pet (0915-406-9585).